We Buy Houses Anywhere In Atlanta And Other Parts of Georgia, And At Any Price. We Don’t Want To List Your House, We’re The Actual Buyers And We’re Ready To Make You A Fair Cash Offer For Your House Right Away. 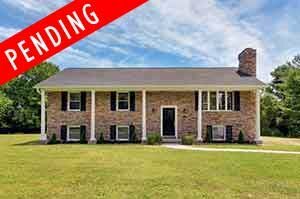 If you want to sell your Decatur, Georgia house… we’re actively buying and we have the funds ready to buy your house right away. Can we make you a no-obligation fair cash offer? No hassle or games. Owning an unwanted house can be frustrating and very expensive. But you don’t have to put up with the hassle and headache any longer. At Breyer Home Buyers, we are a team of local house buyers led by Shawn Breyer and we’ve done hundreds of real estate deals. We don’t want to list your house, we want to buy it from you directly no matter what the situation or condition it’s in. No matter what your situation, and no matter what the condition of the house, we may want to buy your house from you right away (or whenever it’s convenient for you to sell). We can buy your Decatur house. Contact us today! An agent will get you to pay up-front to fix-up and clean-up your property so it’s ready to list. You’ll wait 3-6 months (sometimes longer) while the agent tries to find a buyer… and you’ll be stuck paying expensive utility bills, taxes, and insurance the whole time. You have to keep the house clean the whole time, and there’s always the hassle of having strangers walk through your house. If the agent can find a buyer (and if the buyer can get financing), you’ll end up paying the agent their expensive commission. At Breyer Home Buyers, we are a team of professional cash house buyers. Our goal is not to list your property as an agent would. Rather, we want to buy your house from you directly and we have the funds available to buy it as quickly as you’d like. Most “cash home buyers” don’t have money to buy your house… they only pose as investors but in reality, they act as a middleman but don’t explain that to you. They are wholesalers – but not all wholesalers are alike. When a wholesaler connects with a buyer, you will be able to sell your house for cash in Decatur. We work in the Decatur and surrounding areas, and we’ve done hundreds of real estate transactions in this area. You’ll meet with us face-to-face, you’ll shake our hands, and you’ll know that we have YOUR best interest in mind and we’re here to help you. No wonder we’ve worked with so many sellers just like you! Can we buy your house from you? We’re ready to make you a no-obligation cash offer so you can decide if this is right for you. Simply fill out the form below to tell us a bit about the property. We’ll get back to you within 24 hours to follow-up with any other questions and to arrange to meet to see your house. When we visit your house, we’ll explain everything and give you a fair cash offer on the spot. There are NO hassles, no obligation, and no pushy sales tactics… just friendly information from a trusted local cash buyer. Our goal is to help make your life easier so you can end the hassle and headache, and finally get on with your life. We’re ready to pay you a fast, fair, and honest price for your house. We are local market experts who specialize in helping property owners just like you, no matter what situation you’re facing or what condition the house is in. From foreclosure to divorce, from probate to liens, from burdensome rental property to expensive repairs, even if you just want to retire or downsize. We buy houses in Decatur and surrounding areas and pay a fair cash price, fast. You just tell us when you want to sell and we can work within that timeline — fast or slow, it’s up to you. So enter your information into the form above to let us know about the property you’d like to be rid of and sell your house fast for cash. Or, you can pick up the phone and call our team at (770) 744-0724 because we’re a friendly, helpful team and we’re always ready to serve you. Just tell us to “sell my house fast in Decatur“!